During his talk at the World Energy Innovation Forum (WEIF) today, Tesla CEO Elon Musk called for people to revolt against the propaganda of the fossil fuel industry and he even described a tactic he believes the industry used to smear his companies. “We need to appeal to the people – educate people to sort of revolt against this and to fight the propaganda of the fossil fuel industry which is unrelenting and enormous.” – Musk said. 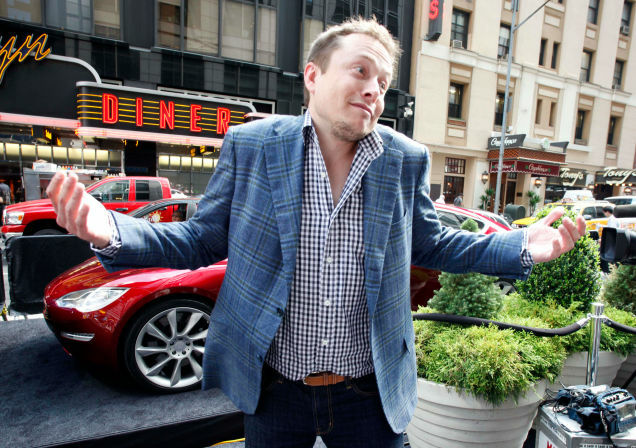 The Times published an article over the weekend titled “Elon Musk’s growing empire is fueled by government subsidies”. The article is well-researched and mostly accurate, but it conveys a clear disdain for the fact that Musk’s companies are taking advantage of the government subsidies available to them. The publication compiled data from government programs and came to the conclusion that Tesla Motors, SolarCity and SpaceX, three companies Musk is involved in, have benefited from an “estimated $4.9 billion in government support”. I will not dispute the actual amount, but I’d like to bring up a few points which weren’t discussed in the article and that are highly relevant to the subject.